According to the media we made history last night. The “we” speaks to those who reside at the crossroads of race and gender and “we” as a society. Now if we are talking in terms of patters and history then we did in fact make history last night. The media will nurture the belief that we as a country have forged a new path that praises diversity, whereas all history did was repeat itself. Last night, the Emmy Awards crowned its first black female recipient of the “Outstanding Actress in a Drama Series” category. This recipient is none other than the incomparable Viola Davis for her starring role on ABC’s How to Get Away with Murder. My eyes welt up with tears as Davis, beautifully dressed in an ivory gown with her hair unapolegitcally natural, took the stage to accept her honor. The tears were partially of pride, but mainly because Davis’ win is merely another symbol to seduce society into believing the world “isn’t so bad” for black folk. Davis’ victory suggest that the dark women or girls of America, those who are completely without any European/Anglo features “don’t have to too bad” in America. Davis’ win is a small feat for black women as it does nothing to negate the black women who are harassed or murdered by the police. It does nothing to negate the countless black women who are overlooked as mentally ill or victims sexual abuse or assault. The same was true for Hattie McDaniel’s Oscar win, where her nomination didn’t even garner her a walk through the front door. 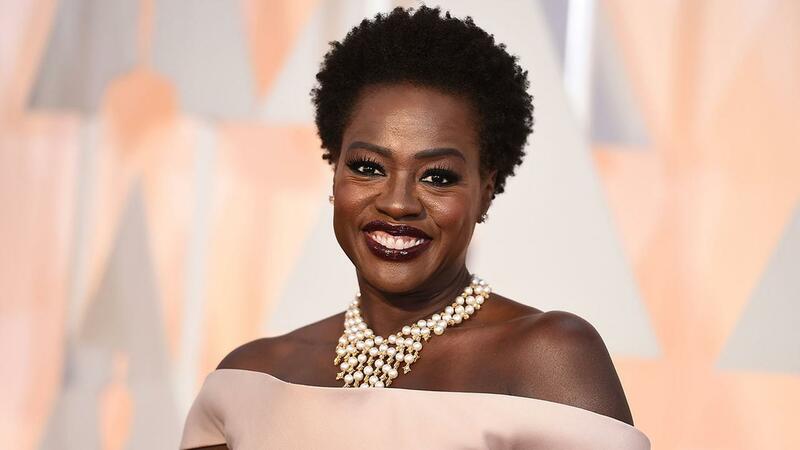 Viola Davis, much like Lupita Nyong’o ( 2014 Academy Award recipient) and Hattie McDaniel (the first black women to receive this honor) appear to forge a place for the unconventional, but this place exists solely in time, and time, much like symbols, is fleeting. In her acceptance speech Davis speaks of “striving to cross the line where countless white women stood with outstretched arms, but I can’t get there.” While I internally commend Davis for her honesty, her statement sent chills up my spine. This simple line sums up the bittersweetness that accompanies Viola’s victory. Yes, it is wonderful to see black women acknowledged for their talent. However blacks must learn to live beyond praise from whites (or non blacks) as this need for recognition is often a source of exploitation. Black women do not need the acknowledgement of traditionally white spaces, because unlike Davis’ dream there are no outstretched arms. Any public praise from whites is symbolic at best and as temperate as the smile one issues a stranger. So as the smile that surfaces upon hearing of Davis’ victory fades, I envision the celebratory tone that Monday has in store for some. I picture black girls, old and young seeing themselves in Viola and feeling momentarily beautiful, until a peer calls them “ugly”, or they’re passed over for a job, randomly pulled over on their drive home or tossed aside for their lighter or longer haired counterpart. As a community we must award our own greatness in order to be certain that the symbols of our beauty, poise, talent and overall majesty is not just fleeting but a consistent sense of belonging and esteem amongst our women and girls. With that said, the true victory of last night’s Emmy’s was the heartfelt hug Taraji P. Henson gave Davis immediately following her victory. The sense of esteem and belonging epitomized in their embrace, paints victory as collaborative rather than singular. Nevertheless I commend Mrs. Davis on her victory, but mostly for her realization that her plight is our plight as black women. This plight is hindered in gloating over symbols such as this one that suggests we as blacks crossed the intangible line separating us from white women. This line is inevitably drawn in the sand, and only with a strong sense of community will we see that accomplishments aren’t more grand when acknowledged by whites, beauty isn’t real only if whites say so. Davis’ talent and beauty shines beyond the Emmy stage much like the countless other black women overlooked and under appreciated around the globe. It may take another forty plus years if ever to gain public recognition, but the true victory lies in knowing we don’t need it.